Warmly welcome at Da Nang airport after you take a flight. 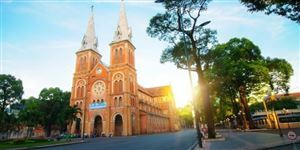 Have lunch in a local sea food restaurant on one of the top 7 beautiful beaches in the world and then start to enjoy sightseeing the beauty of East Vietnam Sea before heading to the ancient town of Hoi An. Check in hotel. Discover the famous ancient town of Hoi An, which used to be a prosperous seaport city during the 16th to 18th centuries and known as an UNESCO World Heritage Site since 1999. Its sizeable community of foreign merchants resulted in a unique architectural style with Vietnamese, Chinese and Japanese influences. Walking tour in alive mosoleum of Hoi An to visitChinese Assembly Hall & Temples, Old houses & Japanese Covered Pagoda Bridge, Old house of Tan Ki (Or Phung Hung); Fukian Assembly Hall; Sahuynh Cultural Museum (or Museum of Folk Cultures)…, an unforgetable memory, will lure you into the life of seventeen century in reality. Have dinnner at local restaurant. 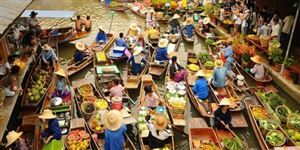 Free at leisure and over night in Hoi An. After breakfast and check out, beginning the day with an excursion to My Son, Vietnam’s most evocative Cham site recently named by UNESCO as a World Heritage site. My Son Holyland - the former capital of the ancient Cham civilization that ruled Central Vietnam from the second to the thirteenth century. The complex is comprised of seventy Hindu-like towers and temples dating from the second century. The Cham people considered this area, in the shadow of Cat’s Tooth Peak, the domain of the Gods, and it served as the religious and intellectual center of the culture. Continue moving on to Da Nang for dinner with famous specialties. Then head to Danang for lunch. Check in the hotel for a rest. Afternoon, we will visit Son Tra peninsula named as Monkey Mountain to visit Linh Ung Pagoda -the largest in Da Nang in terms of scale and artistic architecture. The pagoda is famous for its beautiful 67-metre-tall Goddess of Mercy statue standing on a lotus-shaped platform and My Khe beach – classified as one of the most attractive beaches on earth. Free at night in Danang after dinner. Over night in Danang. After breakfast and check out, pick you up and transfer to Ba Na Hills Station which is known as the “Pearl of the climate” of the Central, one of the tourist center - famous resort - highest level in Indochina colonial times. Have a chance to ride on a modern system of cable cars helps you get a bird's-eye view, very miraculous and attractive while enjoying a feeling of flying in the blue sky amidst the clouds and wind. 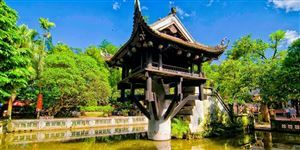 You will visit some old French villas en route, as well as the suspension bridge, the Nui Chua with Mountain Peak (at the height of 1,487m). · We will then enjoy lunch whilst taking in the spectacular views. · In the afternoon, after lunch, leisure time for joining games in Fantasy Park – the third biggest indoor games zone in Vietnam, free and easy with series of interesting games. · Leaving Ba Na Hills for Hue. Check in hotel and have dinner at local restaurant with famous specialties of Hue. · After dinner, get on boat cruising up the Huong river, then enjoy amazing “Hue’s Folk music” professionally performed by Hue artists in traditional beautiful suites of “Ao dai”. Over night in Hue. 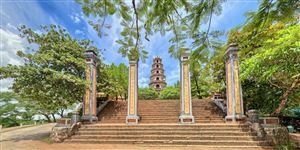 After breakfast, check-out then visit the beautiful Pagoda of Thien Mu with its impressive “Heavenly Lady” seven-story tower, one of the oldest ancient architectural structures for religious worship in Hue. 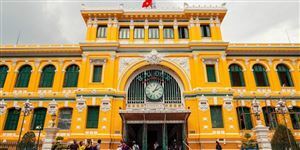 Continue on to visit the Imperial Citadel, a vast complex built in the early 19th century under the Nguyen Dynasty which was the last feudal regime in Vietnam during 1802 - 1945. Have lunch and take a short rest. Afternoon, we will go to Dong Ba market which is the best place to purchase souvenirs. After dinner, you will take the unique flavor tourism manpower tricycle parade around the streets of the ancient Imperial city. After breakfast and check out, head out for Da Nang. On the way to stop for sightseeing the high mountain Hai Van pass, leisure time to visit Lang Co beach; the lagoon far below with Da Nang spread out. 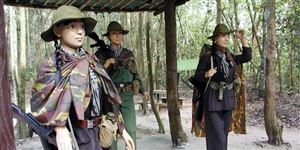 · Reaching Da Nang, visit Cham museum, and understanding of Vietnam’s Champa period relics. Have lunch in a local restaurant.Check in the hotel & take a rest for a while. · Afternoon, start toEast Vietnam Sea to visitMarble Mountains - One of Vietnam's most popular attractions where you can discover a complicated system of caves and tunnels, special Buddhist sanctuaries and many legendaries concerned.Free shopping at local specialty supermarket. Dinner at local restaurant where you ‘ll be served the specialities of Da Nang famous local food. Free to explore Da Nang at night. Overnight in Danang. After breakfast, check out hotel. Enjoy VietNam typical coffee for Free before transferring to the airport take flight for your flight home.